From the Producer: Weekend XP Boost! Frequently Asked Questions about the SOE billing transition taking place on August 15, 2005. The Matrix Online (MxO) will officially transition to Sony Online Entertainment (SOE), effective August 15, 2005. Beginning on the 15th, existing MxO subscribers, upon log-in, will be offered a direct link to the SOE Station account registration site to activate a Station account in order to continue their MxO service. Information on update 32 which is scheduled for release on Monday, August 15, 2005. This patch includes a bonus item for players transitioning their accounts over to SOE. Information on version 7.462 which is scheduled for release on Tuesday, August 2, 2005. This patch is taking place along with the planned world merge and features additional character slots and a bonus item for players. The Matrix Online Producer, Andy Kaplan, talks about the transition to SOE and the team's plans for the game. 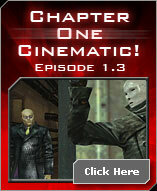 On August 2, 2005, the current nine worlds of The Matrix Online will be merged into three new worlds. Inside you'll find details on the reconfiguration including player bonuses and how to vote for the new world names. Information on version 7.4561 which is scheduled for release on Tuesday, July 26, 2005. Along with other changes, there are now more messages given to the player about the results of attempting some actions including those that increase the possibility of an Agent showing up. 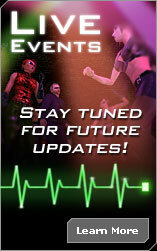 The Live Events Team has been busily crafting intrigues for the next chapter of The Matrix Online saga. Taking inspiration from player feedback, we?ve changed our schedule and will soon be introducing our next event, called: Double Cross, an Intrigue in Two Acts. Our goal is to increase the opportunities for our players to engage in active storyline threads between announced events. Walrus is back with notes on continuing development and information about Pandora's Box. The Matrix Online Producer, Andy Kaplan, announces increased XP over the Fourth of July weekend!